Summary: Researchers report gut-to-brain signals can influence emotions, mood and decision making, prompting people to avoid situations that make them feel uneasy. Are you guided by gut feelings? A Florida State University neuroscientist concludes you are, if not by choice then perhaps subconsciously. Research by psychology professor Linda Rinaman finds gut-to-brain signals are a powerful influence on emotions, mood and decisions — typically by prompting you to avoid certain situations. 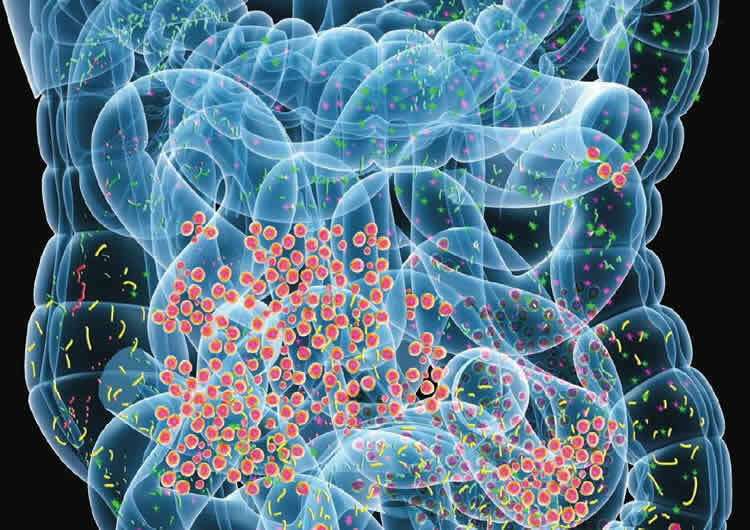 The paper, published in Physiology and co-authored by James Maniscalco, a postdoctoral research associate at the University of Illinois at Chicago, advances scientists’ understanding of how the gut-to-brain circuit operates. Rinaman said the gut and brain are constantly talking to each other via the vagus nerve. It’s a sprawling two-way network connecting the brain to the gastrointestinal tract, which has an enormous surface area and a lot of “sensors.” The GI tract is more than 100 times larger than the surface of the skin, and it sends more signals to the brain than any other organ system in the body. The vagus nerve is known as the “wandering nerve” because it wanders throughout the chest and abdomen, monitoring and controlling digestion, heart rate, blood pressure, immune function and hormone levels. It’s the longest of a dozen cranial nerves and operates as a two-way circuit that carries top-down messages from the brain to the body, as well as bottom-up messages commonly described as gut feelings. Those gut-to-brain signals are a powerful influence on emotions and behavior, especially in response to worrisome or threatening stimuli and events. The nerve is part of an elaborate protective system that helps shape decisions, typically by prompting us to slow down and evaluate a situation, or avoid it altogether. “Vagal feedback signals are very protective and encourage caution,” Rinaman said. Scientific and anecdotal evidence suggests a poor diet can cause those protective, cautionary signals to get out of whack, leading to altered mood and behavior. For example, Rinaman said, a high-fat diet can promote a low-grade inflammatory response in the GI tract, changing vagal signals and possibly exacerbating symptoms of anxiety, depression or other disturbed mental states. Rinaman said the types of bacteria within your gut are shaped by your diet, and those bacteria can affect your emotional and cognitive state. Those gut-to-brain signals are a powerful influence on emotions and behavior, especially in response to worrisome or threatening stimuli and events. NeuroscienceNews.com image is in the public domain. It’s also unclear why a treatment using electrical stimulation of the vagus nerve helps alleviate clinical depression. Approved for patients who don’t respond well to prescription drugs or other therapies, vagal nerve stimulation changes the signals received by the brain and can have a positive impact. Scientists don’t understand how or why it works, but its effectiveness generates more motivation for researchers like Rinaman. Original Research: The study will appear in Physiology. Florida State University “Some Gut Feelings Are A Red Flag.” NeuroscienceNews. NeuroscienceNews, 21 March 2018. Florida State University “Some Gut Feelings Are A Red Flag.” http://neurosciencenews.com/gut-emotion-behavior-8682/ (accessed March 21, 2018). Feel free to share this Florida State University. It seems like electrical stimulation of the vagus nerve could be used to alleviate CNS pain, as well. This sounds like the seminal stage of this particular research rather than something new or revolutionary. It will be interesting to see what new information will be discovered by the researchers – or what new theories may be developed as this research continues. So what’s new? I’m sure even the ancient Egyptians knew this.Warning signals triggered by some external sensory input or by some sudden realisation.